It is an indisputable fact that the economy is going down and the winter is getting deeper. Facing this situation, many villa windows and doors manufacturers need a positive attitude to face the uncertainty of the economy, as Ma Yun said: "your days are not good, other people's days do not go anywhere." 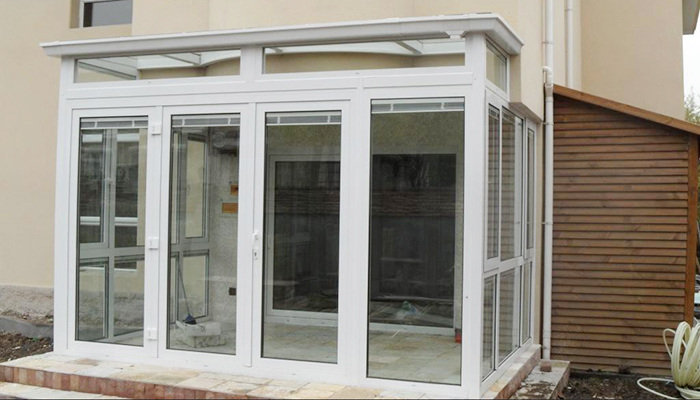 Therefore, the villa doors and windows manufacturers should actively do everything comforted. In view of the current unfavorable export situation and enterprises' difficulties, the state has proposed a series of policies to expand domestic demand and support the transformation and upgrading of aluminum alloy doors and windows enterprises. Doors and windows enterprises should make strategic layout according to their own conditions. Pay attention to the strategic emerging industries and their related industries. Based on the products and markets of the enterprises, it extends to the fields of culture and services. Put your superior resources in your strongest areas. While actively doing a good job in financing and financing, enterprises must strengthen their own capital management, especially in the risk control of accounts receivable. As the economic situation is not optimistic, we must rationally control investment in aluminum alloy doors and windows, and avoid investment losses caused by market factors. Due to the impact of the economic situation, the marketing of aluminum alloy doors and windows will be very difficult at the next stage. Customer funds will be tight, and when buying windows and doors products, it will be more rational. At this point, enterprises should realize clearly that the essence of marketing is not to sell products, but how to solve their customers' problems through their own products. When the economic environment is good, customers may impulse buying, but now the customers themselves are also facing many problems. According to the situation of different types of customers, enterprises should combine their own products, do different plans, help the customers to solve the problem, solve the problem of customers, and sell the products. The problem of human resources in villa windows and doors enterprises is not solved overnight. Rather than relying on "airborne troops", we should cultivate ourselves on the basis of ourselves. Villa doors and windows enterprises should make long-term staff growth planning and training plan, so that employees and enterprises can grow together. 上一页：How to choose the difference between outside door and inside door? 下一页：How does the villa gate develop?